Place some flip chart sheets around the room – either on the wall, tables or on flip chart stands. Place 2 different coloured pens only next to each flip chart sheet. Ask learners to form pairs around the flip chart sheets. 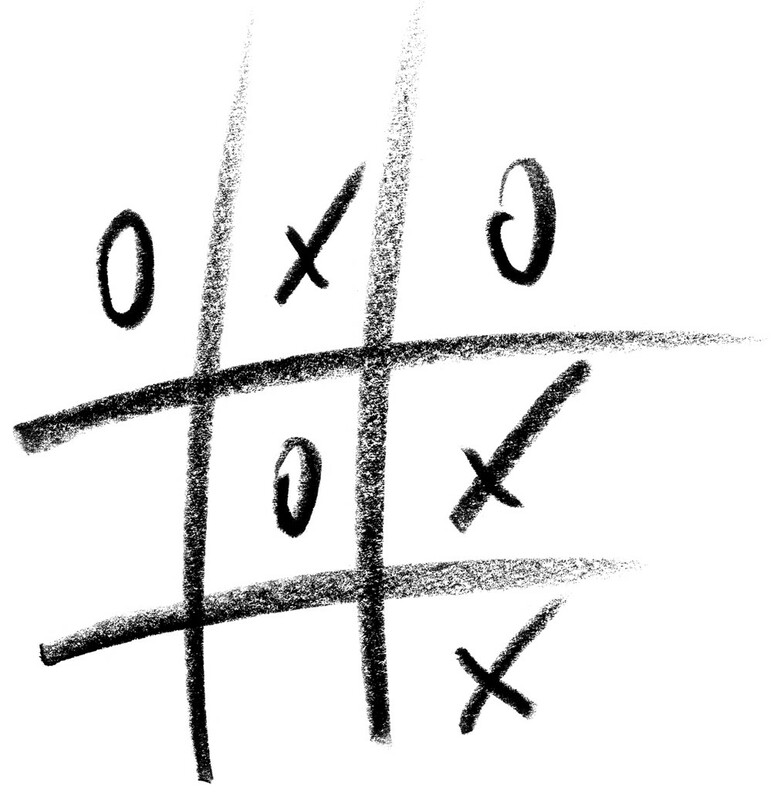 If you need to explain the rules of noughts and crosses – do so ie a straight line of 3 X’s or 3 O’s to win. Players take alternate turns. Ask learners to take one coloured pen each. Using their coloured pen, the first team selects a square and writes one key idea from the workshop content so far into the square. The second person selects a square they want and writes a different key idea ie no repeats. The game continues until one or the pair forms a straight line of ideas or the grid is completed with no winner. Depending upon numbers, Noughts and Crosses can be played on the main whiteboard, or you could form pairs and distribute them into breakout rooms. Prepare a Noughts and Crosses grid in PowerPoint and upload it to your webinar platform. Give participants whiteboard drawing/annotation rights. If you have only a few learners on-line, form 2 teams with a nominated whiteboard writer for each team. Otherwise generate breakout rooms and distribute learners in pairs into the breakout rooms. The game can be played several times. Ask learners to draw their idea into a square rather than write it. Ask learners to generate 5 questions based upon the content prior to starting the game. To place a X or O, pairs select a square, if the answer a question from the other team correctly, they place their shape into the selected square, if they answer it incorrectly, the team asking the question adds their shape to the selected square. This could also be played with two people per team rather than one against one. Use the methods above, but after each game, ask learners to work with someone different ie move around the room. Why not play one version of the game after the first break during the morning, a different version after lunch and then a different version again after the afternoon break? Try this activity as an alternative to simply asking learners questions to review content. It’s a relevant fun activity for reviewing that adds movement, involves everyone but puts nobody on-the-spot. In fact, learners will probably not realise that they have just reviewed content.